If you need the services of a grade-A electrician, Alphington locals can call on E J Lack Electrical to deliver! Hawthorn-based, we’ve been servicing the Melbourne community with our electrical expertise since 1963. 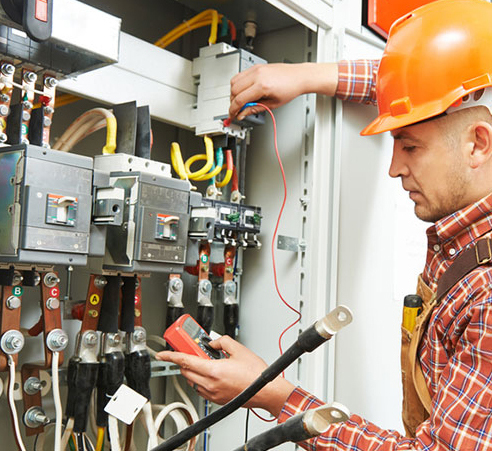 No matter what electrical problem you have, we can expertly tackle any installations, repairs and maintenances with our trademark efficiency, quality workmanship and friendly services. When you witness our premium work at a very competitive price, you’ll see why E J Lack Electrical is the go to electrician! Alphington home and business owners can benefit from our reliable services executed by a team of highly qualified and experienced professionals who can handle any job that comes their way with complete dedication and an eye for detail. Being experts in both residential and commercial electrical applications, they are well and truly equipped for any job – be it wiring (and re-wiring) homes, safety switches, smoke detectors, and so on. We believe in the quality of our services so much that we even offer a 12-month labour warranty! We’ll even clean up after the job is done so you can get the most out of your property and stress less about the mess.